Minister Michelle Mimms was born and raised in Gladewater, TX where she initially found her first church home at New Life Fellowship Church in 2003. While attending NLFC she became active in the Prison Ministry and also graduated with her Associates Degree in Theology from their spiritual/educational institution. Soon after that she heard from God and a shift occurred in her life which led her to New Beginning Faith Ministry in 2004 which was also located in Gladewater, TX at that time. That same year Minister Mimms accepted her calling to preach the gospel of Jesus Christ. In 2009 she became Associate Minister and in 2010 she was elected and ordained to be the Assistant Pastor of New Beginning Faith Ministry. She also commit to other roles such as the Planning Committee, Pastors Aide, and Board of Directors. She is survived by two daughters Dainaka Leach and Olivia Leach, and three grandchildren Aiyanna, Amaria, and Kylan. Dainaka is also a member of NBFM in which she is involved in the youth ministry, kitchen committe and church secretary. 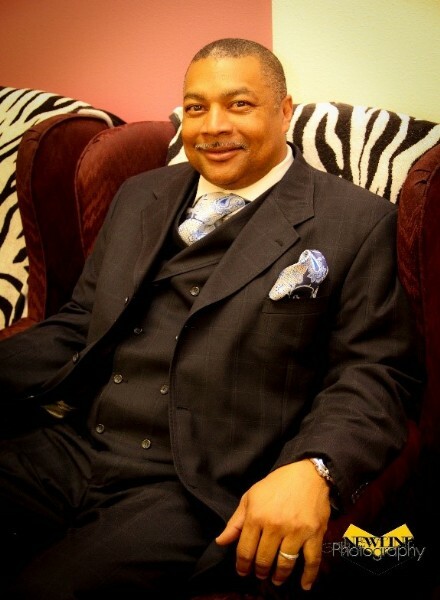 Assistant Pastor Ricki Nelson was born in 1966 in Overton Texas, to George Nelson Jr. and Mary Francis Nelson. He was third of four children. He grew up in the Baptist Faith at New Hope Conglee Baptist Church. In 2007, after being there for 3 months, he accepted his calling as a Minister at Sunshine Missionary Baptist Church in Tyler, Tx. While at Sunshine he attended The Word of Life Bible Institute in which he took several classes in Theology preparing for Ministry. A few years later he was ordained and stayed at Sunshine for 8 years. In the midst of his calling and fire for God he met and married Linda Hunt of Longview Tx. Linda Hunt is a younger sister of Pastor Prophetess Gloria Lewis of New Beginning Faith Ministry. They have been married for 1 year as of February 22, 2015. During his last year at Sunshine he attended New Beginning Faith Ministry as a guest preacher for different occasions, and also received teaching in Five Fold Ministry. In January 2015, God summoned him to move to New Beginning Faith Ministry for a different calling on his life in Non-Denomination. He is now a faithful member as well as Minster of this Ministry.